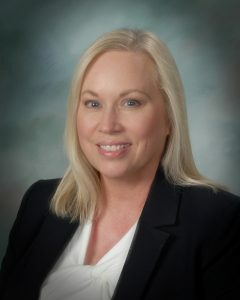 Dr. Donna S. Lewis has a richly varied educational background including instruction, student services, special education, human resources, finance, facilities and more. Her experience with students ranges from preschool through college. She has served in a variety of educational settings from large urban school districts with diverse students, Title I schools, and large English Learner populations, to close-knit districts in affluent areas. Dr.Lewis has a proven track record of being a collaborative leader and facilitating student success. She has been recognized for her service in diverse environments with the Multicultural Education Committee Award, led a school to achieve the California Distinguished School Award and was named Outstanding Administrator by the PTA. Dr. Lewis also has expertise in reciprocal partnerships to enhance programs and services for students and has presented internationally and locally on this topic. She has supported progressive instructional programs including dual immersion, STEAM/STEM, International Baccalaureate, Project-Based Learning, and Montessori. Dr. Lewis earned two associate of arts degrees in Dance and Theater Arts at De Anza College, Cupertino, CA. She also earned a bachelor’s degree in Creative Arts and a master’s degree in Special Education at San Jose State University, San Jose, CA. Her doctoral degree is in Educational Leadership, Administration, and Policy from Pepperdine University, Malibu, CA.